Bluem Fluoride Free Toothpaste 75 ml order online. It’s natural for everyone to want to look as good and healthy as possible and to want to present themselves attractively, with a great smile,. And that’s precisely what you are doing now. You’ve been through a lot to get there. Your implants are a long-term solution and certainly a costly but worthwhile investment. So now you want to enjoy this for the rest of your life. That’s perfectly possible if you take good care of your teeth and implants. Bluem toothpaste is the best care product to ensure healthy teeth and implants. Bluem toothpaste has been specially developed by a team of implantologists, oral surgeons and dentists, under the leadership of Dr. Peter Blijdorp. Blijdorp is an authority in the field of implantology, having fitted his first implants in 1976. He has since fitted tens of thousands of implants and painstakingly advised his patients, before, during and after treatment. Dr. Blijdorp has discovered that the use of natural oxygen has a positive effect on the healing process and on the maintenance of healthy gums, teeth and implants. Oxygen has been used in medicine for more than one hundred years. Pure oxygen is in fact a medicine. There is no other medicine that is so effective in promoting healing as oxygen. Oxygen is essential to health and to the upkeep of the cell structure in the human body. In addition to its healing action, oxygen also has a powerful anti-bacterial effect. 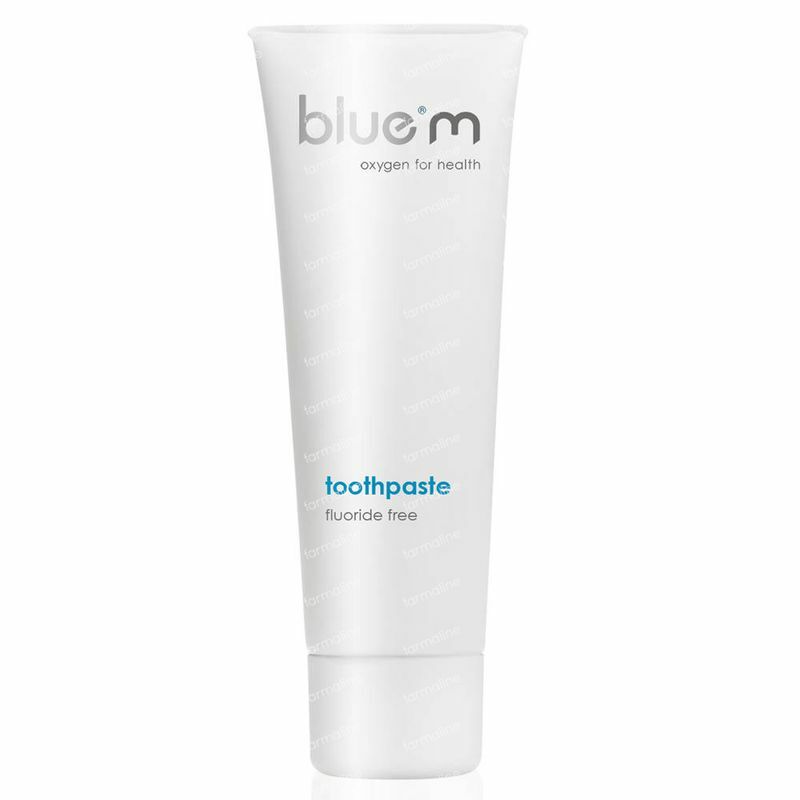 Bluem toothpaste contains a high concentration of oxygen, in part derived from honey enzymes. The oxygen in the toothpaste penetrates deep into the tissues to where it is really needed. The pockets around teeth and implants are kept clean and free of harmful bacteria. The effectiveness of Bluem toothpaste is the result of the interaction between the various ingredients. -Bluem toothpaste has a unique formulation. This means your teeth, implants and gums get the best possible cleaning and care. 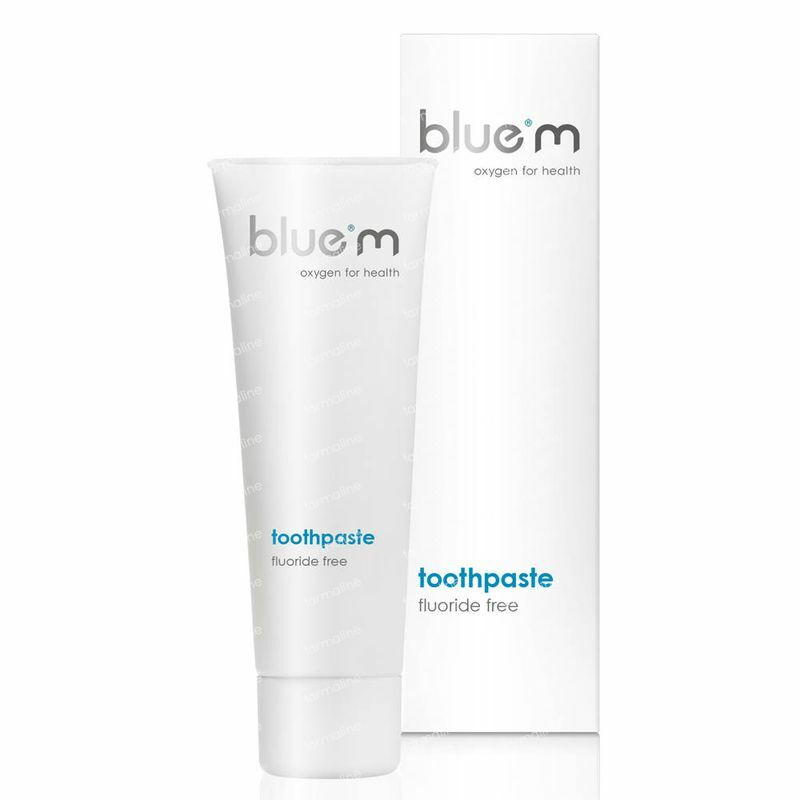 -Bluem toothpaste contains active ingredients, some of which come from honey enzymes. These have an antiseptic, disinfecting and anti-inflammatory effect. -Bluem toothpaste fights the bacteria that cause plaque, keeping your gums in tip-top condition. Healthy gums are important to protecting your implants, with healthy teeth and fresh breath. -Bluem toothpaste encourages the growth of new blood vessels. In addition it helps the damaged cells around the implants to recover. This prevents the occurrence of receding gums and restores the jawbone, ensuring that the implants remain firmly fixed. -Bluem toothpaste ensures that your teeth stay white and that no colour differences occur between the natural teeth, facings and crowns (this can be caused by coffee, tea, tobacco and red wine). 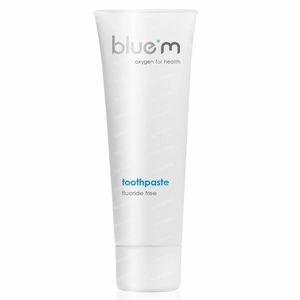 -Bluem toothpaste is also suitable for those who wish to prevent bacteria /and or infection occurring in or on the gums. Bluem toothpaste has a neutral pH value and contains no scouring ingredients. No damage can therefore be caused to the surfaces of teeth or implants. -Bluem toothpaste contains no fluoride, thus reducing the risk that the implant might loosen. The high concentration of fluoride found in normal toothpaste attacks the titanium layer of the implant. Twice a day for 2 minutes at least. I first received this toothpaste as a sample offered with the mouthwash - a small handy size to use on holiday. I was extremely impressed with the results. After using for a week my teeth definitely appeared to look whiter. On the back of these results I purchased the full size tube from farmaline. It is pretty expensive, though, so am seeing if I can get the same results by just using twice a week (Wednesday and Sunday). So far so good. A good toothpaste that, for me, stands up to its claim. I'd definitely recommend for people with implants. Like Mary T, I am allergic to mint, and was unsure about using Bluem because it has a, to me, definite mint taste. However, also like Mary T, I didn't have any "mint effects" from using it. It seems to clean the teeth as well as any other toothpaste, but it does also get the implants nice and clean. I only use it when the implants show signs of getting an infection, as it is too expensive for everyday use. However, it is much cheaper than at my implant dentist's surgery, where they charge about £30 for a tube!